Since times immemorial, through poetry, songs and personal experiences, we’ve come to terms with the transiency of youth. However, this pondering upon lost beauty and vitality is a thing of the past for now newer and better methods to increase the permanence of youthful skin are just around the corners. Take for example, the newest type of cosmetic non-surgerical procedure on the block—Ultherapy. Still haven’t heard of it? Ultherapy is a non-surgical procedure, which works by using medically approved ultrasound technology and lifts, firms and tightens the skin like a perfectionist on the face and neck region. Since it’s an UV technology, the effect is borne by the inner layers of the skin—the outer layer isn’t harmed in this process. It aims at giving a youthful radiance without having to lose the natural beauty of the face. Ultherapy, which works on a UV technology, attempts to capture images of the deep layers of the skin, thereby finding out the most vulnerable spot therein. It then heats up that particular part, thereby naturally producing collagen which is responsible for maintaining the firmness of the skin. 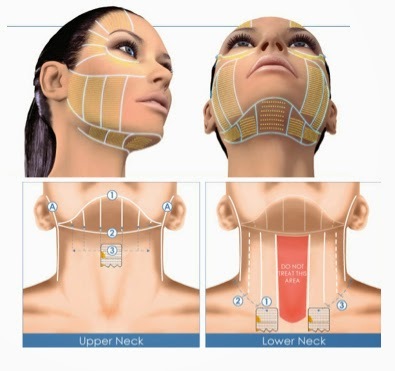 Ultherapy works upon the face and the upper region of the neck. Depending on the type of skin, it can be used upon the entire body or any localized position. Well, unlike other non-surgical methods, since this particular method works on inducing UV technology, doctors are able to have a glimpse of the inner layers of the skin prior to treatment. Hence, the end results come out safer and albeit, better! Besides, the cost is also much lower than other similar procedures. Well, unlike other methods, the use of this method can be prescribed only by a doctor. However, in usual cases, only healthy individuals whose skin has just began to age or who feel their skin losing its vitality, are recommended to this treatment. Ultherapy is performed by using a small handheld device which captures images of the inner layers of the skin which enables a doctor to identify the affected area and deliver low heat therein. It’s a non-anesthetic procedure and requires about 30 minutes after which the patients can head back home. Well, no, there isn’t any side effect per se but some patients feel redness on their skin immediately after the treatment. However, it reportedly goes away within a few hours of the treatment. Rarely, some patients are found experiencing bruises and swells, but these too are mild and goes away shortly afterwards. Is it approved by the US? Yes, the therapy has been approved by FDA to be carried out in the US since 2009.